In a "wash wash" scam the victim will be shown black paper, which supposedly is US dollar notes stained with black ink for security purposes. Such paper is given to victims who have paid various fees in other "419" scams hoping to receive millions of dollars that they have been promised. The victim will be told that he will need special cleaning chemicals, which of course cost thousands of dollars more. In reality the paper is just blank sheets run through a photocopier with the lid open, cut to the same size as US currency. I am writting you in respect of your money that is with me here in my office, two months back i received a customer that came to my office because he saw the sample of the signboard of my office that i am an Original,Certfied and Self Employed Mint Engineer that have all kinds of machines that can cut any type of boxes and also a doctor that can treat any type of currencies in any form either deface money,stamped money that can not be cleaned,anykind of bank reserve treasury,money that is been attached together, compress money, in short i treat any problem of all currency,I am an associate who have worked with the United Nation and the Bank of Ghana but now I am self employed. I have waited for this youngboy(Mr. Chukky Taylor), a Liberian that came all the way from Aflawo border for some months now but he is not forth coming, a few days ago, I discoverded that the boy is now dead and I saw your email adresses and your names that is been attached with the boxes which this particular boy had earlier given to me for development. I will like to tell you that I opened the boxes and realized that the currencies inside were defaced currency which I have cleaned with my money cleaning machines,your money is now appearing as original American dollars,all in $100usd bills. 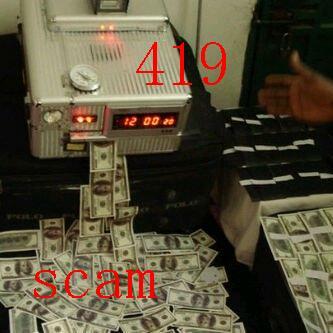 If really you know that you are the one that have this money you can call me and email me now for your money. I am a God fearing man so i cannot reap were i did not sow meaning that your money is save with me, the total amount of the money is $25million. Please send your response to my personal mail box (currenciesdeveloper@yahoo.com). Subject: FOR YOUR EYES ONLY. Hi just to inform you that i got a company named GREEN LABELS LABORATORY that is especialized in S.S.D SOLUTION, VECTROL PASTE, DEFACED CURRENCY, COATED NOTES, ANTI-BREEZE BANK NOTES, HUMINE POWDERS, CHEMICALS and TESTING MATERIALS. The director is called DOCTOR HASSANI ALI, and their contact number is: 0027-73-1073401. 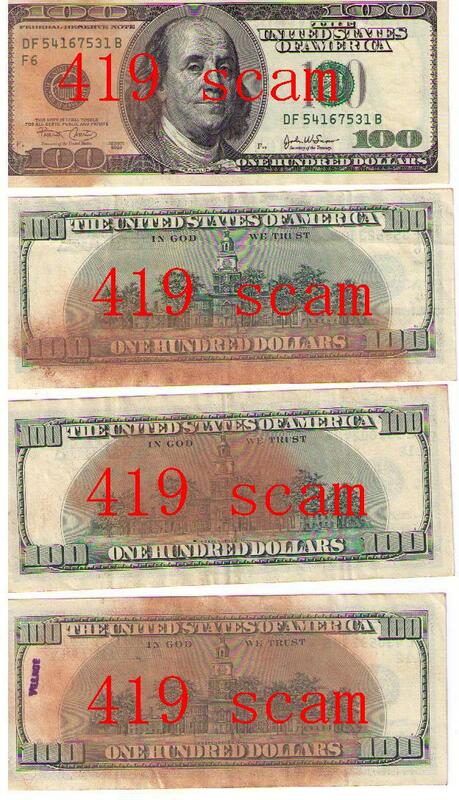 We provide chemicals for anti-breeze bank notes currencies such as us.